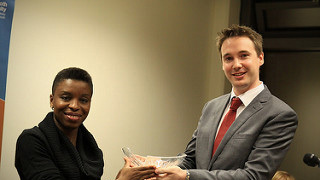 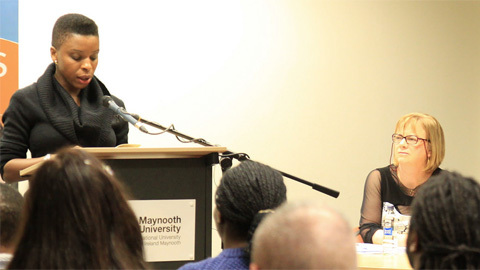 On 10th November 2011, Sister Majella McCarron (OLA) presented a collection of personal correspondence and 27 poems she had received from Ken Saro-Wiwa to Maynooth University. 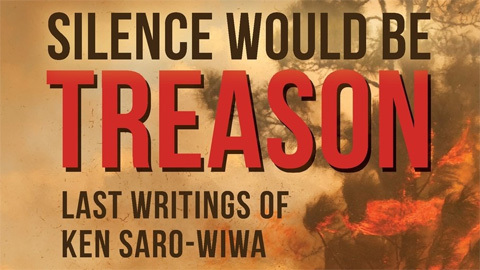 The date marked the sixteenth anniversary of the execution of Saro-Wiwa and eight others (the Ogoni Nine). 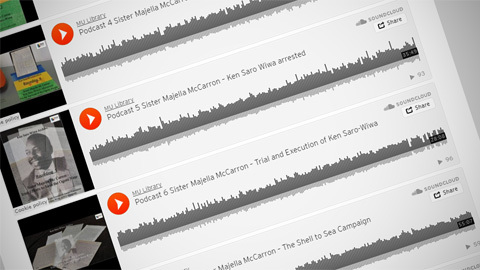 Sister Majella had lived in Nigeria for over thirty years and worked with Ken Saro-Wiwa to highlight the issue of the environmental destruction of Ogoni by the international petrochemical industry. 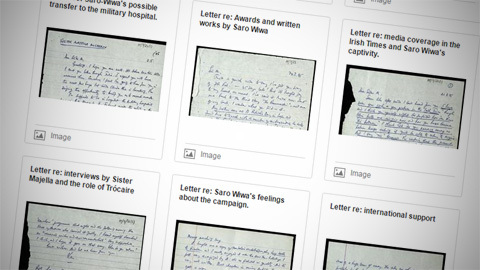 While in military detention, Saro-Wiwa wrote to Sister Majella and his letters were smuggled out in breadbaskets. 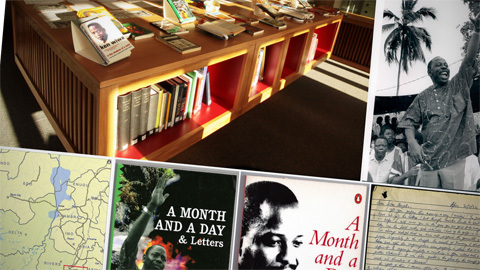 The collection contains 28 letters to Sister Majella, 27 poems, recordings of visits and meetings with family and friends after Saro-Wiwa’s death, a collection of photographs and other documents, including articles, reviews, flyers and maps relating to Saro-Wiwa’s work and the work of Sister Majella on the cause of the Ogoni people, both in Nigeria and Ireland. 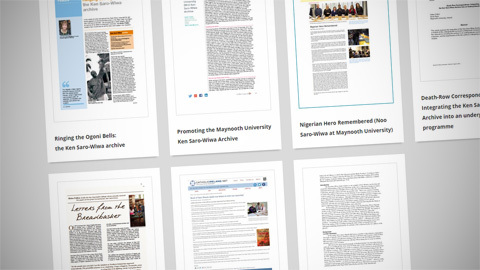 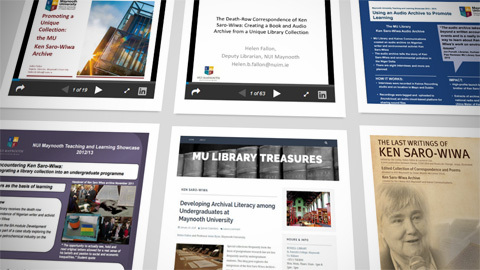 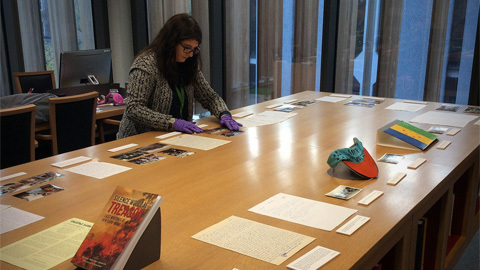 This LibGuide brings together information/resources relating to the Maynooth Ken Saro-Wiwa Collection.